The Pueblo Chieftain: “Does the Arkansas River deserve Rights?”, Opinion piece advocating Rights of Nature for the Arkansas River, April 10, 2019. Mongabay: “Tear down the dams: New coalition strives to enshrine rights of orcas”, New coalition including ELC fights to preserve Southern Resident Killer Whales, March 19, 2019. Longmont Times Call: “Boulder Rights of Nature looks to ignite a new environmental rights movement“, Boulder Rights of Nature, a citizen group, hosts first symposium on rights of nature, February 1, 2019. Kitsap Sun: “Orca health assessment, legal rights, and two upcoming presentations”, Treaty and legal rights for orcas to address health problems, January 23, 2019. 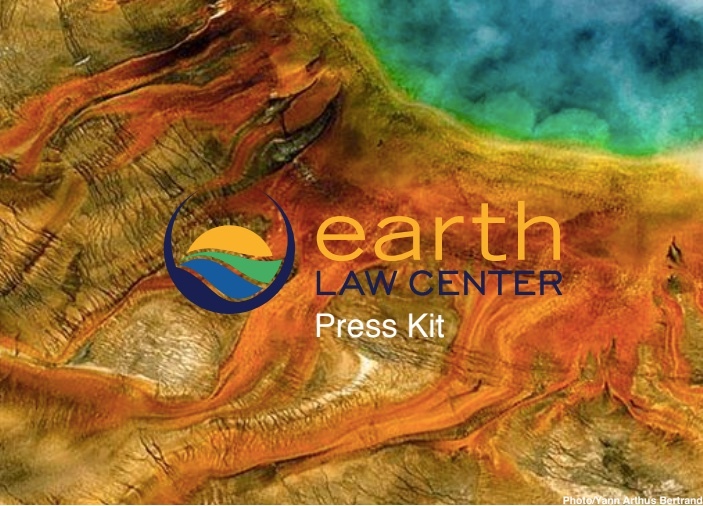 EcologicalCitizen.net: “Rights of rivers enters the mainstream”, Grant Wilson and Darlene Lee introduce Earth Law as the next great rights-based movement, January 4, 2019. World Ocean Forum (Medium): “An Introduction to Ocean Rights: Solutions-based approaches to management and protection”, Michelle Bender introduces oceans rights and a new way to approach ocean conservation, October 22, 2018. EnviroNews Nigeria: “World Rivers Day: Groups seek legal rights for rivers”, Foundation for Conservation of Nigerian Rivers and River Ethiope Trust Foundation (RETFON) are partnering with ELC, June 15, 2018. Reef Life Restoration: "Earth Law Center: Champions for Rights of Nature", Earth Law Center's mission, philosophy, and Rights of Oceans initiative, June 1, 2018. ECO Magazine: "Puget Sound Initiative: Securing Rights for Southern Resident Killer Whales", Earth Law Center's initiative to gain legal rights for the entire Puget Sound, May 8, 2018. South by Southwest (SXSW) panel (audio): "Answer with Action: A New Activism Platform", Darlene Lee and other speakers discuss sustainability and taking action at the community level. NBC Miami: "'Nature as an Asset': Coral Reef Insurance May Be a Sea Change for Conservation", Asher Klein writes on insurance for coral reefs and Michelle Bender voices her opinion on the initiative, April 18, 2018. UK Environmental Law Association (newsletter): "Earth Law", featured article (p. 19) by Samantha Orenstein discusses Earth Law, its current status and potential prominence. WGDR Radio (online stream): "Relocalizing Vermont", Grant Wilson discusses rights of nature, April 5, 2018. Rights for Nature Sweden (recorded webinar): Michelle Bender - Advancing Holistic and Ocean Rights-Based Governance, March 29 7:00 pm CET, 2018. Learn more about ELC’s Ocean Rights initiatives and strategies. TreeHugger.com: River Ethiope could be first waterway in Africa recognized as a living entity, March 12, 2018. MPA News: If MPAs had a legal right to be managed well, would that end the problem of paper parks? December 13, 2017.
International Union for Conservation of Nature: Call for UN to Recognize and Protect the Ocean’s Rights, October 11, 2017. Mother Earth News: What is Earth Law and Why Does it Matter? September 4, 2017. The Ecologist: We Need Rights of Nature Legislation Now to Protect our Home Planet, July 7, 2017. Exploring the work of the Earth Law Center and its global role in environmental advocacy for the rights of nature.